Some things just have to be done. Don’t think, don’t plan, just do. 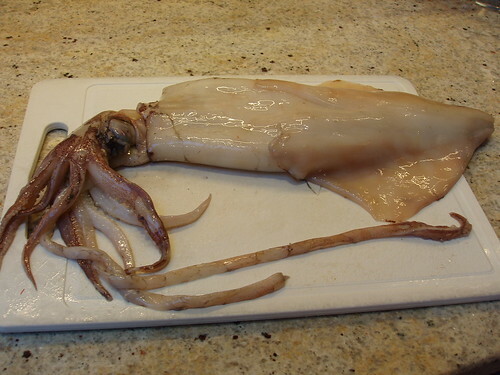 Your first kiss, your first parachute jump, the first time you dissect a squid….. If you spend time discussing, analysing and justifying some things, you will never do them. I discovered Calamari in Italy in 1992. In fairness, looking back they weren’t the best examples of calamari – they were on the rubbery side and were quite oily. 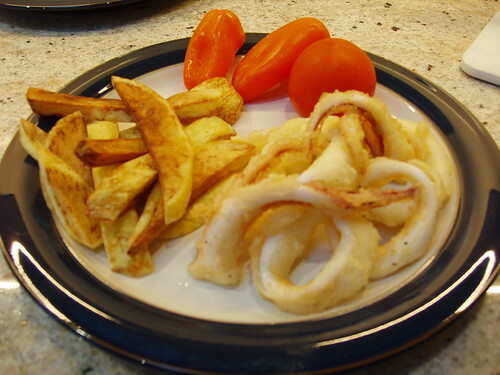 (I also didn’t know they were squid at the time or I probably wouldn’t have eaten them – I thought they were some kind of Italian onion rings…oh the innocence..). But I did eat them and have eaten them ever since. 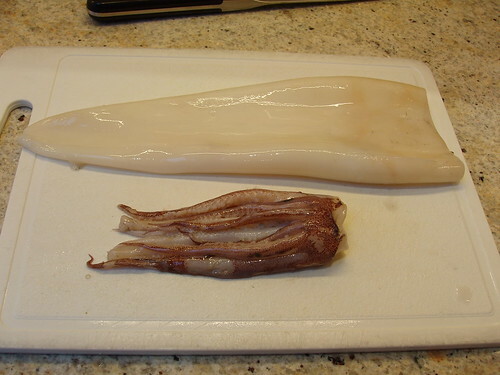 But as for cooking these strange and somewhat frightening cephalopods, where do you start? So when we saw the Good Eats “Squid Pro Quo” episode, Alice (in a mixture of awe and horror - as only an 11 year old can simultaneously display) decided that this was something that had to be done. 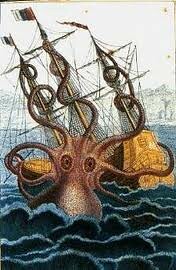 Off to the fishmongers did we trot and returned did we with a creature of sac and tentacles and eyeballs and – well, you get the picture. Seriously though, I ask you, who first looked at these and thought “mmm, those look yummy”?... I mean look at them…. 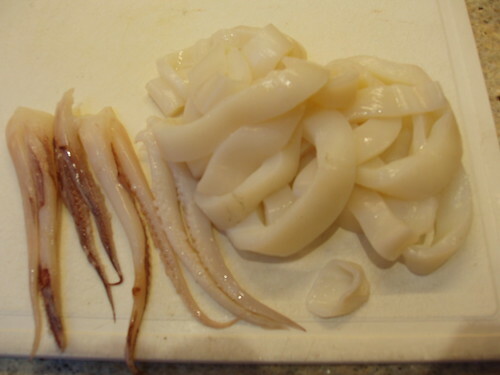 For the sake of those who may be squeamish, I will refer you to “Squid Pro Quo” for full instructions on how to slice and dice but suffice to say, after a few minutes, a full set of usable parts lay before us (and it wasn’t that hard either). Some more slicing to create the rings and separate the tentacles and a quick dip in the batter and we are ready to fry. I would fully recommend that you give it a go, particularly if you cook with your kids, but would also say that you can buy packets of frozen mantles (the body of the squid from which you cut the rings) if you would prefer not to go through the hassle of dismembering a fresh one. These will do the same job. Don’t think, don’t plan, just do….